Global Affairs offers opportunities, funding and resources that support UC Davis faculty in achieving their academic, research, and service goals in every corner of the world. Global Affairs partners with UC Davis schools and colleges to offer grants ranging from $5,000-$15,000 that support innovative international research, spur future collaborations, and stimulate external funding. To date, over $1.4 million in seed funding has led to over $40 million in external grants. Find out more. Team-focused grants of up to $5,000 fund locally executed but internationally oriented programs such as lectures and workshops that highlight and enhance UC Davis’ connections in regions of the world. See grant details. Global Affairs offers a collaborative, year-long series of professional development workshops that give faculty members the opportunity to revise course content and teaching techniques in response to current global challenges and opportunities. A $1,000 stipend is paid upon completion of the program. Learn more. For faculty and staff already planning international travel, Global Affairs offers the opportunity to serve as an ambassador, building relationships and creating new areas of collaboration on behalf of UC Davis. Application deadlines are based on departure date. Find out more about becoming an ambassador. The Fulbright Program offers a range of research and professional exchange opportunities for UC Davis students, faculty, staff in over 130 countries. Global Affairs supports faculty applying to become Fulbright Scholars and welcomes visiting Fulbright Scholars to UC Davis. Learn more. Seed Grant recipient and researcher Carrie Waterman (first from left). Global Affairs holds workshops throughout the year on internationally oriented funding opportunities that may focus on a particular world region or a particular global issue. 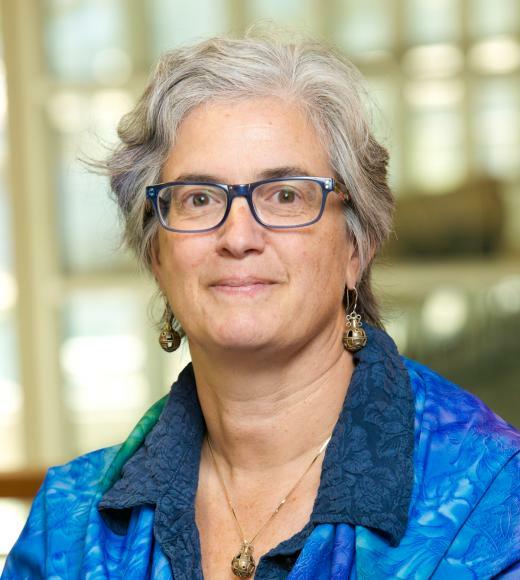 Contact Global Affairs Director of Faculty Engagement Elizabeth Langridge-Noti at elangridge@ucdavis.edu if you would like to see a region or an issue highlighted. These awards recognize UC Davis faculty and staff members for outstanding international engagement in carrying out the university’s mission of teaching, research and outreach. Find out more. The Excellence in Teaching in Study Abroad Awards recognize the dedication of instructors who design and teach Study Abroad programs and make international experience accessible to UC Davis students. Find out more. Each spring, Global Affairs invites the UC Davis community to celebrate international engagement, network with colleagues, and make connections with others working in similar world regions. See the event details. UC Davis faculty play an important role in Study Abroad’s diverse offerings, including leading students on both international and globally-oriented domestic programs, remotely overseeing internships abroad, planning and reviewing curriculum, and working with UC Education Abroad Program (UCEAP) Study Centers. Learn more. 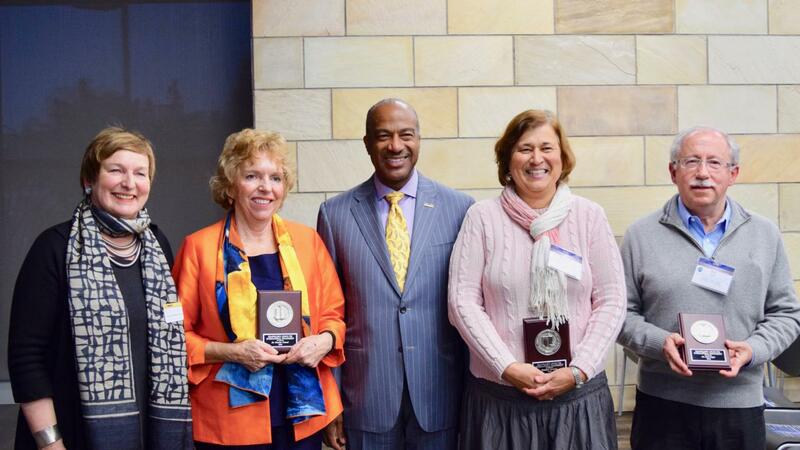 (L-R): Vice Provost and Associate Chancellor Joanna Regulska, Chancellor's Awardee Patricia Conrad, Chancellor Gary S. May, Chancellor's Awardee Rosalind Christian, and Chancellor's Awardee Paul Gepts, at the 2018 International Connections Reception at the International Center. With more than 150 international agreements across 45 countries, there are countless opportunities to connect with the world. Learn more. Global Affairs helps connect faculty, staff, students and scholars to people on campus and across the world. Add your own experience and expertise abroad or search for potential collaborators using the International Linkages Database. Search partnerships in the International Agreement Database or print country summaries before your next trip. See faculty linkages and country summaries. The Global Centers initiative is focused on strengthening UC Davis’ presence and impact in key regions around the world. Find out more. Building opportunities through international delegation visits and partnerships, Asian International Programs facilitates and guides professional relationships and academic collaborations between UC Davis and universities, government agencies, and institutions across the Asian region. Learn more. Building on long-standing and mutually-beneficial partnerships between Chile and California, UC Davis Chile leverages the strengths of UC Davis’ groundbreaking research and technology to stimulate opportunities within the agriculture industry and academia in both the Chile and California regions. The center in Santiago, Chile offers collaborative opportunities, connections with university and industry partners, as well as lab and meeting space for faculty and researchers. Find out more. 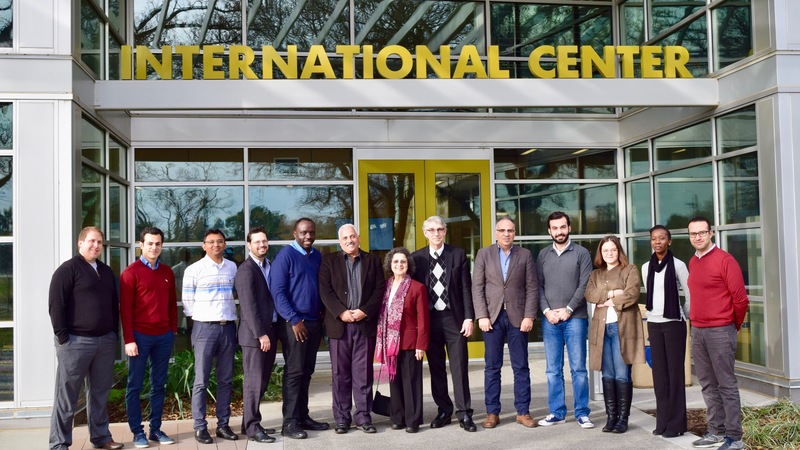 Bringing together six leading research universities and advancing new knowledge, the UC Davis Arab Region (UCDAR) Consortium facilitates collaborative research projects across fields and pursues innovative initiatives that are relevant to both the California and Arab regions. The consortium offers opportunities—in the humanities, the social sciences, and STEM fields—for international research and training projects as well as lectures and events on campus. Find out more. Faculty from UCDAR partner universities at UC Davis for a workshop. For the thousands of faculty planning international travel, Global Affairs provides a wide array of resources and support, particu-larly related to health, safety, and security abroad. Trainings and one-on-one support is available through our Global Affairs travel security manager. See travel resources, tips, and checklists. Services for International Students and Scholars (SISS) provides support for international faculty and their families primarily by assisting with the process of obtaining a visa, entry to the U.S., and permission to work at UC Davis. In collaboration with the hiring department, SISS also facilitates the process of gaining permanent residence (Green Card). Learn more on the SISS website. 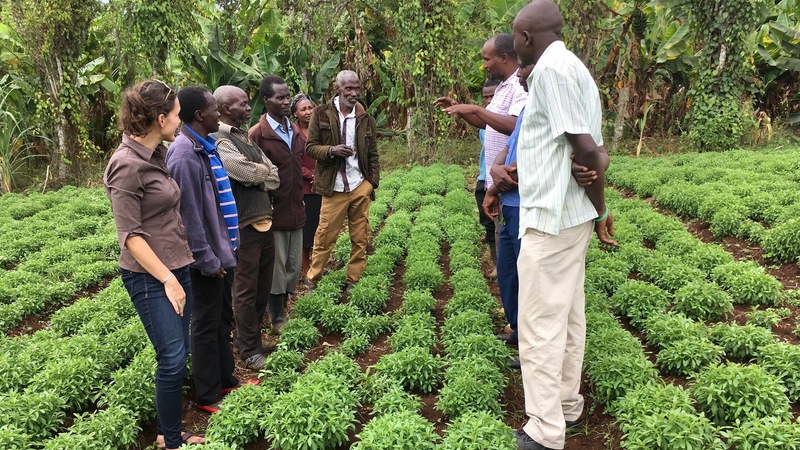 College of Agricultural and Environmental Sciences researcher Carrie Waterman is dreaming big as one of Global Affairs' most recent Seed Grant recipients—improving the reach of the world's newest super food and inspiring others along the way.